Tolerance typ. typ. typ. typ. typ. ±0.5 approx. 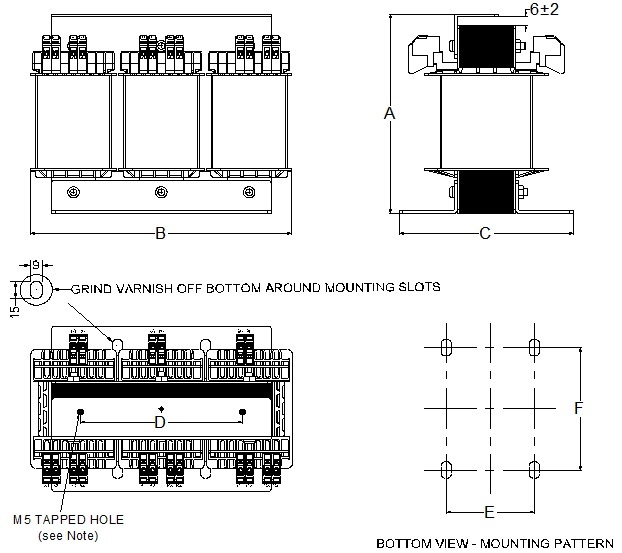 Note: Able to install T-35 bar (Mounting Rails DIN EN50022) for varistor wiring with terminal block. Note: Nominal single style input voltage taps ± 5%. Note: Y / △ disconnecting links are not included in the scope of supply. Note: Nominal double style input voltage taps ±15V. Note: (1) Other output voltage can be provided upon request. 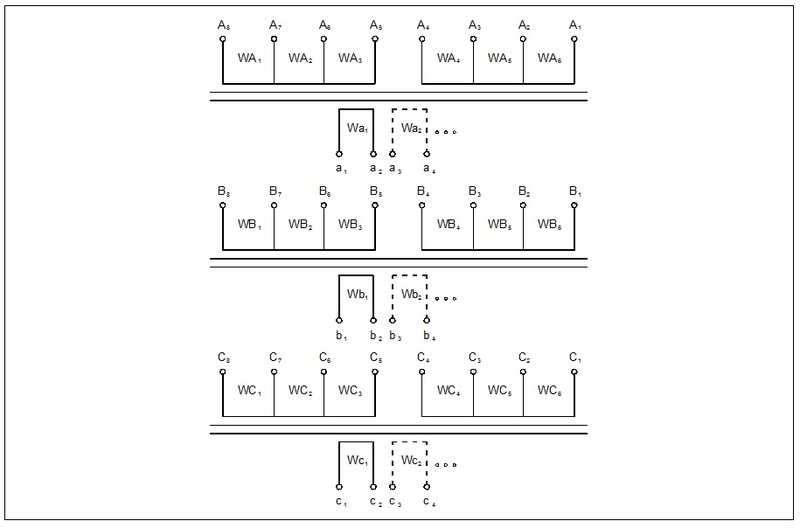 (2) Multiple outputs can be provided upon request. (3) Y / △ disconnecting links are not included in the scope of supply. (5) Finger-safe terminal blocks according to EN50274 are labelled with numerical labels. 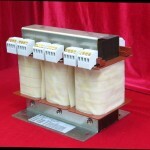 (6) Output △ 24V is only available for 0.85kVA or less. 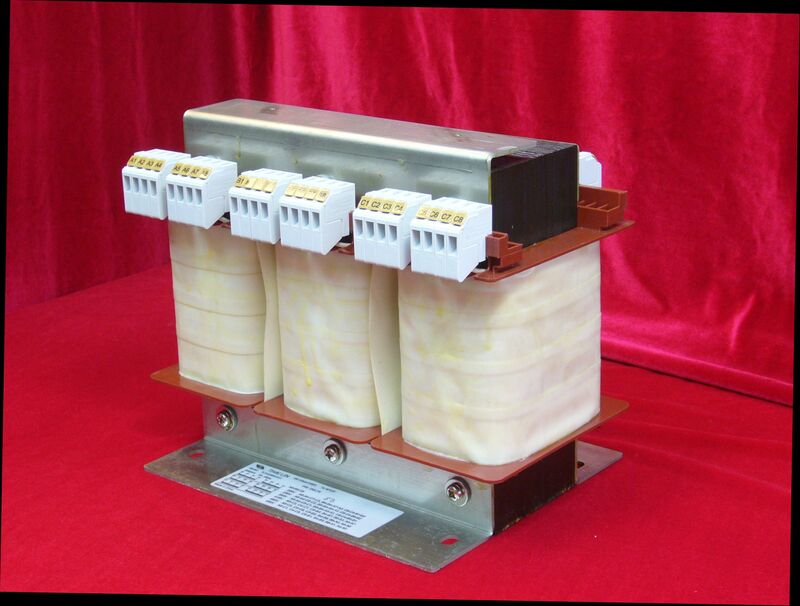 (7) Output △ 48V is available for 1.5kVA or less.